PRESIDENT Edgar Lungu and King Mswati have had no relationship outside the presidency so anything that he receives from another head of state would have come precisely as a result of him being President of Zambia, says Elias Chipimo. The National Restoration Party leader, who has maintained that President Lungu violated the Anti-Corruption Act when he neglected to declare the land ‘gift’ from King Mswati, advised presidential aide Amos Chanda to keep quiet because he is likely to be prosecuted after 2021. He said the excuses from the chief government spokesperson Dora Siliya and all those speaking for and on behalf of President Lungu were doing so to cover the tracks following the corrupt act. Chipimo warned of a thorough investigation soon after the end of the PF regime in 2021. “Probably you are going to hear some fake statements coming out that this land was only valued at that much because they are trying to cover up their tracks over essentially a corrupt act. There can never be any mistake about this particular issue, no matter what excuses the chief government spokesperson or any people speaking on behalf of the President, you will see that the story will keep on shifting because when a story is not straight, eventually the truth will come out,” Chipimo said. He warned that because the laws were deemed weak did not mean that they were ineffective. He further called on Zambians to stand up and make sure that laws are enforced to avoid the continued corruption. Chipimo said the only reason Chanda was fervently defending President Lungu on the land matter was that he, too, was a recipient of the ‘donation’. Chipimo, however, warned Chanda not to process the land as doing so would be setting up a date with prosecution and consequent jail. He said President Lungu should have declared the said ‘gift’ because he received it as Republican President and not Edgar Lungu. “The reason why Mr Amos Chanda is coming out strongly on this issue to defend the President, really its because he is defending himself, he himself is a recipient of this land donation. If we don’t stand up as Zambians to ask that this law be enforced, we are going to see the continued proliferation of the corruption causing all sorts of challenges to our economy. It should have been declared first of all that ‘I have received this gift’ then we should have somebody within Cabinet Office to tell the President whether this was received or not in his personal capacity or it’s being received by him in his official capacity,” said Chipimo. 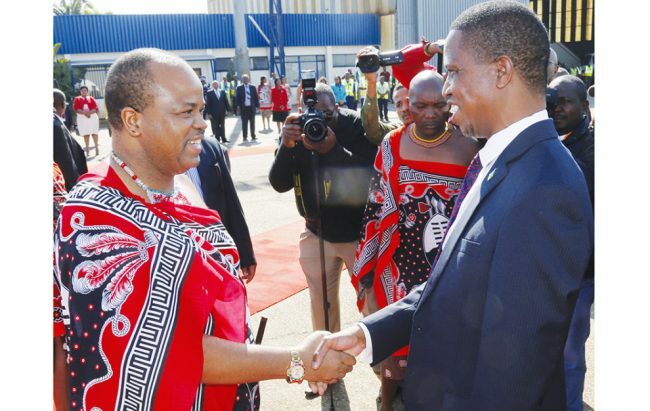 “You and I both know that President Lungu and King Mswati have had no relationship outside his Presidency.